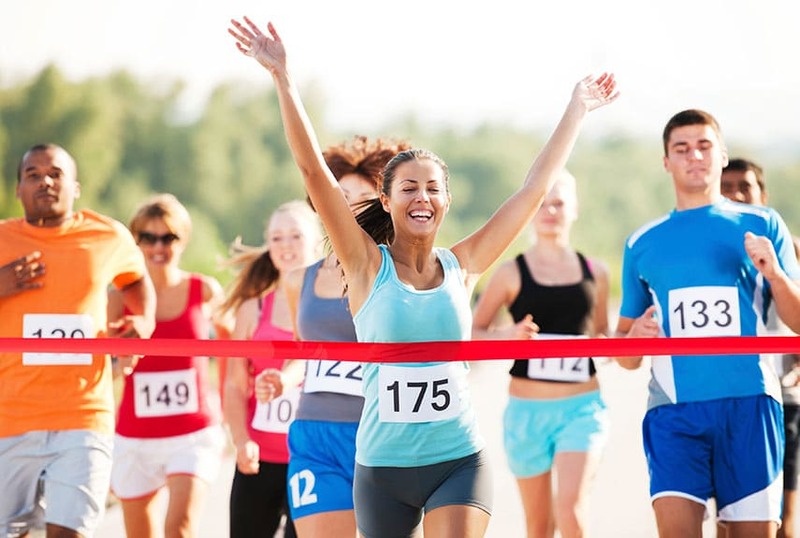 All new runners want to know how to have a successful first running race. After completing the first running training, you can go for a 5K or 10K run. Before the day, you may face some questions about your expectation on the race day. If you make yourself appropriately ready for the day, you can experience an awesome racing day. You should take the advice of running enthusiasts or professional runners for your first time race. After hard work and mental preparation, you should be calm and fresh on the race day. Always hope to finish the race. You can follow some tips from some days before your race. These will help you to have the successful first running race. Before one week, you can follow these to be a successful runner. A 5K or 10K race is a positive event. You can spend a morning with some strangers who cheer you on and feed you water. Someone can fear you that you cannot win the race. But you should be strong. Some people go to a 5K race with the proper ability. But some go there only to finish the line. If it is possible to do practice on the route where your race will be held, you should do it. It will help you to be familiar with the road. Besides, it will prevent you from losing on the race morning. It also makes your confidence. Try to eat the foods that work best and boost you without any upsetting of your stomach during your running practice. Before your run, try to take any heavy food more than three hours. You can eat the foods like smoothie containing fruits or yogurt. It is a right choice to balance your diet with carbs and fiber. Before the race day, you need some extra preparation. Let’s see them. When you are going to a new race, you have no time to try any new things such as new shoes, foods or a new drink, any new gear or other things that are not used by you before. Work according to your routine. The day before your race, you should try to stay off the feet. Give your feet proper relaxation. Do not try lawn mowing or sightseeing before your race. Do not try any foods that can upset your stomach such as a gigantic bowl of pasta before the day of your race. Eat a small portion of carbohydrates before the night of the competition. It is an essential condition to have a successful first running race. Keep all the necessary things front of you. Pin the bib from four corners on the front side of your shirt. It is an official part of your race. This identity is also important for the photographers. You should be careful that your number is properly visible. Now see the tips for your first race day. Keep you hydrated. But you should avoid any major drink before 30 minutes of your race. You can take a mouthful to keep the mouth hydrated. You need to stay properly hydrated throughout the racing day. For 200 pounds weight, you can take 100 ounces of low-calorie fluids such as water for each day. If your body weight is 150 pounds, try to drink 75 ounces water per day. It is important to reach the racing place at least 1.5 hours before the starting of the race. You have to keep enough time in your hand to take your number, use the porta potty and also warm up. Besides, before going to the race, you should recheck your bag. You should put the name, address, your bib number, your cell phone number, email address, etc., visibly on the race bib. Besides, you can wear the road ID on the shoe or the wrist. Some tissue will help you while waiting for the line of the long porta potty. You do not have to go to the front to realize that there is nothing for you to wipe with. Do not try heavy or over dress. You need not wear extra clothing that you need not wear. Use the dress that is suitable for more 20 degrees warmer than the outside weather. If you want to keep yourself warmer at the start time, you should use expandable clothes which are easy to throw off after the warm-up. You need to set at least two targets. One is for your perfect race, and other is for the backup. If you see that you fail to make the first goal, you should motivate yourself for another goal. Try to run slower for your first 10 percent. It is the better idea to finish the race strongly. Do not go faster than your goal. Save your energy for the final goal to win the race. After your race, you have to do something more. Let’s see them. After completing the race, walk for 10 minutes to reduce the stiffness, and by this, your heart rate will gradually become normal. You can also do some work out to stretch the legs and hips. After finishing the line, try some snacks. Take the meals that are the great combination of carbohydrates and protein to stock the energy stores. Eat the snacks after 30 minutes of your race. Try some recovery drinks, some energy bars, and other foods. It is not so hard to have a successful first running race. Try to follow the tips, and you will be successful at your first running race. Always try to keep yourself fit and healthy. Eat enough foods, do all the work out regularly and take a strong preparation.